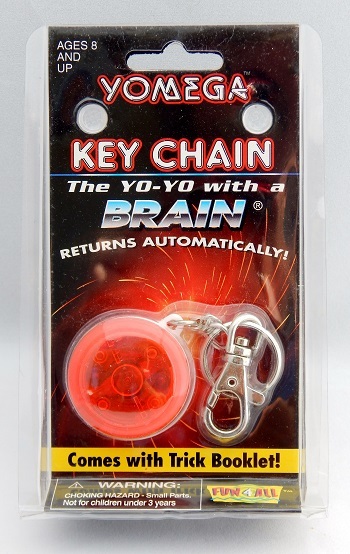 Miniature Yomega Brain in translucent red on a keychain. Came with a trick booklet. Returned automatically just like the full size Brain model. U.S. Patent number 4,332,102. Original retail price: $3 US.